FCA To Kill Hemi V8? Ever since the 1960 Chevrolet Engineering Research Vehicle (or CERV as it was called), Chevrolet has wanted to produce a mid-engine Corvette. 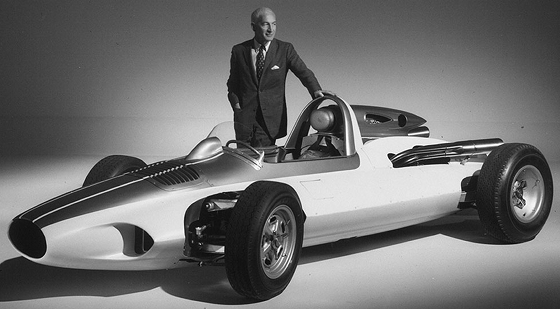 Zora Duntov was the main thrust behind a mid-engine Corvette, he saw it has a way to provide the Corvette a perfect 50/50 front and rear weight ratio for ultimate handling. While many super high performance cars have over the last 50 years adopted a mid-engine platform, the Corvette has remained true to its roots by staying a front engine rear wheel drive sports car. This has not stopped Chevrolet from showcasing several mid-engine Corvette concept cars over the years, to tantalize Corvette fans. Fast forward to the present, it doesn’t matter which 2017 Corvette model you buy – the Corvette Stingray, Corvette Grand Sport, or Corvette Z06 the buyer is getting a crazy amount of super car performance for the money. decades ago. The Fiero was a budget sports car while the new 2019 Corvette will be a high dollar six figure sports car that will have a base price of of anywhere from $100,000 to $150,000. This sounds absurd until you look at the all-new mid-engine 2017 Ford GT which is estimated to cost $400,000. Even so, Chevrolet is gambling big with the C8 which is expected to have a perfect 50/50 front to rear weight ratio. Unlike all past new generation Corvette releases which have been evolutionary, the change from the C7 to the C8 will be revolutionary. Converting to a mid-engine platform will turn what was in essence a 2-seat American muscle car with European sports car handling manners, into a European exotic super sports car. Traditional Corvette buyers may interpret this as a slap in the face. After-all a 2017 Corvette Stingray has a base price of $55,400 which is very reasonable when you consider the performance offered. There are several generations of current Corvette buyers, from 20 to 80 years of age. These buyers love the current Corvette, for the 2016 model year the Corvette sold a whopping 40,689 units which was the best sales year in a long time. Rumors are Chevrolet has taken this into account and when the C8 arrives for 2019, Chevrolet will continue production of the C7 through the 2021 model year in order to not upset its loyal customer base. Though Chevrolet has not made an official statement, this does leave the door open to the fact if C7 sales continue to remain strong after the release of the C8, Chevrolet may continue production and eventually release an updated new front-engine rear-wheel drive Corvette model. This would give buyers a budget Corvette with a traditional front-engine rear-wheel drive layout and a high-end mid-engine Corvette. On the flip side of the coin if C7 sales fall after the release of the C8, then the C7 will surely be doomed. There is always a possibility Chevrolet may surprise us and offer a more budget oriented version of the C8 which would have a much lower base price and would be priced a little above what the current C7 sells for. One thing is for sure Chevrolet in its long term plans has to consider the average Corvette buyer, walking away from 40,000 yearly sales and moving to much lower production volume isn’t sound business sense. After-all it is the average Corvette buyer who can’t afford a 6 figure car that makes up a majority of current Corvette sales. Current rumors have us believe the C8 will only be offered in a dual clutch automatic transmission with steering wheel paddle shifters. The small-block pushrod V8 will continue as the the Corvette’s powerplant in the C8. It may drop down from the current 6.2 liters to as low as 4.4 liters in displacement. It will either have twin turbos or a supercharger setup. This new engine will be rated at around 750 horsepower and is rumored to called the LT5. 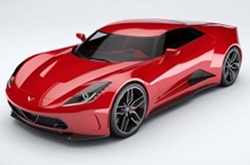 Car and Driver magazine has revealed the C8 flagship will be called the Corvette Zora ZR1. It’s a fitting name since Zora Duntov envisioned a mid-engined Corvette over a half century ago. The body style will be elegant yet very attractive. Just like the C7, expect that the C8 will use multiple vents scattered around the body to maximize aerodynamics, improve brake cooling, and maximize engine cooling. The C8 aluminum frame is expected to be stronger and lighter than the current C7 aluminum frame. Chevrolet will also find other methods of weight loss including the possible replacement of the Corvette’s traditional fiberglass body with crash-resistant carbon-composite material according to Car and Driver. 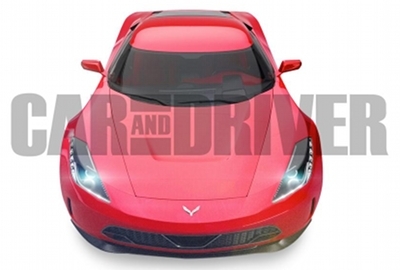 Expect the C8 to weight at least 100 lbs less than the 3,300 lb 2017 Corvette Stringray. There’s no doubt the that the mid-engine C8 is going to be a game changer for Chevrolet. With the C8, Chevrolet is setting its sights on beating the best that Ferrari and Lamborghini have to offer. The C8 will be the most anticipated new Corvette ever.